NO PURCHASE NECESSARY TO ENTER OR WIN. SWEEPSTAKES OPEN TO LEGAL RESIDENTS OF THE UNITED STATES (EXCLUDING RHODE ISLAND) AT LEAST 13 YEARS OF AGE OR OLDER ON DATE OF ENTRY. VOID WHERE PROHIBITED BY LAW. 1) SWEEPSTAKES PERIOD: The Skechers 100,000 Instagram Followers Sweepstakes (the “Sweepstakes”) starts January 8, 2016 at 9:01AM Pacific Time (PST) and ends when Skechers hits one hundred thousand (100,000) followers on Instagram (the “Sweepstakes Period”). 2) ELIGIBILITY: TO BE ELIGIBLE TO WIN, YOU MUST BE A LEGAL RESIDENT OF THE UNITED STATES (excluding Rhode Island) AND AT LEAST 13 YEARS OF AGE OR OLDER ON DATE OF ENTRY. CONTEST IS VALID FOR RESIDENTS OF THE UNITED STATES EXCEPT WHERE RESTRICTED BY LAW. The following persons are not eligible to participate in the Sweepstakes: (a) officers, directors, employees and representatives of Skechers USA, Inc. (the “Sponsor”) or its subsidiaries or affiliated companies; (b) persons engaged in, and persons associated with companies engaged in, the development, production, promotion, advertising or running of this Sweepstakes (collectively, the “Promotion Parties”); (c) each of the foregoing persons’ immediate family members (parent, child, sibling, and spouse of each), as well as persons living in the same household (whether related or not); and (d) residents of the State of Rhode Island. Commenting to the Instagram posts and tagging a friend. 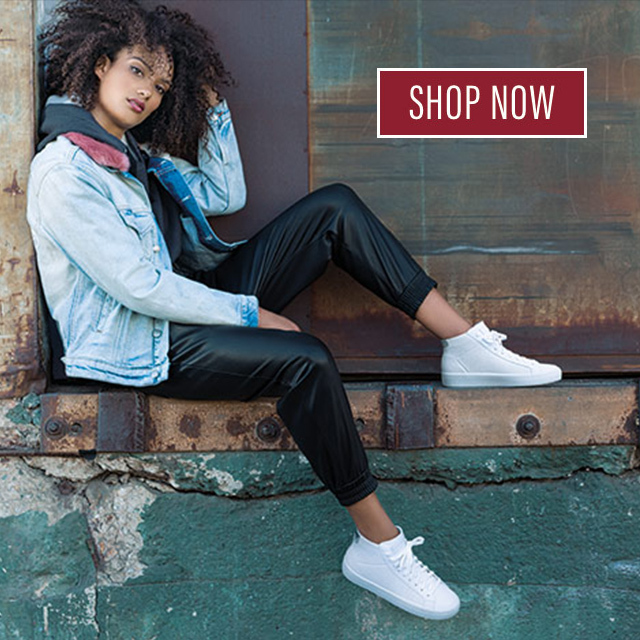 You may instead enter by sending an e-mail that includes your name, e-mail address to the following address: socialmedia@Skechers.com, with a subject line of “Skechers 100,000 Instagram Followers Sweepstakes Entry”. Limit: ten (10) entries per person, per post (30 total). Any individual who, in the sole discretion of Sponsor, is suspected of submitting multiple entries, by any means, including, but not limited to, establishing multiple Instagram profiles or e-mail accounts, may be disqualified from participation in this Sweepstakes. The name of the person submitting the Sweepstakes entry must be the authorized account holder of such Instagram profile and/or e-mail address, otherwise, entry may be deemed void. In the event of a dispute over the identity of a potential winner, the entry will be decided upon by confirming the authorized account holder of the Instagram profile or e-mail address which submitted the winning entry at the time of entry, and the potential winner may be required to provide identification sufficient to show that he/she is the authorized account holder. It is the sole responsibility of the entrant to notify the Sponsor in writing if the entrant changes his or her Instagram profile, e-mail address or postal address during the Sweepstakes Period. Approximate retail value of all Prizes: $1,584. 5) RANDOM DRAWING FOR PRIZES/DEADLINE DATES: Three (3) random drawings to award the Prizes will be conducted from among all eligible entries received during the Entry Period, one (1) when Skechers reaches 96,000 Instagram followers, one (1) when Skechers reaches 98,000 Instagram followers, and one (1) when Skechers reaches 100,000 Instagram followers. The random drawings will be conducted by the Sponsor. Odds of winning a prize depend on the number of eligible entries received. Entries submitted are only eligible for this Sweepstakes, and only eligible for the drawing immediately following their submission (entries will not be rolled over into the subsequent drawing(s) and entrants must submit additional entries to be eligible for any subsequent drawings). By entering this Sweepstakes, all participants agree that all decisions made by the Sponsor regarding matters relating to the Sweepstakes winners are final. Results of the Prize Drawings will be announced the business day following the day that the Skechers Instagram account hits 96,000, 98,000 and 100,000 followers, respectively. 6) WINNER NOTIFICATION AND PRIZE FULFILLMENT: The potential winners will be notified by e-mail and/or by Instagram within ten (10) days of prize drawing. Any potential winner who doesn’t respond to notification attempts within ten (10) days will result in prize forfeiture and an alternate winner may be selected at Sponsor’s discretion. Any winner notification returned as undeliverable without a forwarding address will result in prize forfeiture and an alternate winner may be selected at Sponsor’s discretion. The potential winners (or any potential winner’s parent or legal guardian, if the potential winner is a minor in his or her state) may be required to sign and return to Sponsor an Affidavit of Eligibility with (where lawful) a liability and publicity release for receipt by Sponsor by the due date indicated in the notification letter. If any required documents are not returned within the required number of days, or if any mail is returned as undeliverable without forwarding address, then prize may be forfeited and an alternate winner may be selected at Sponsor’s discretion. 10) ENTRANT AND WINNER RELEASES: All entrants, as a condition of entry into the Sweepstakes, agree to release Sponsor and the Promotional Parties, and each of their respective parents, subsidiaries and affiliated companies, officers, directors, employees and representatives, from and against any and all liability, claims or actions of any kind whatsoever for injuries, damages, or losses to persons, property or otherwise which may be sustained in connection with the Sweepstakes, including without limitation, accessing the Sweepstakes page, submitting an entry or otherwise participating in any aspect of the Sweepstakes, preparing for, participating in or traveling to and/or from any prize-related activity, or any typographical or other error in these Official Rules or the announcement or offering of any prize. By entering the Sweepstakes, each entrant hereby represents that any posts are his or her own and that he or she owns all copyrights in connection with such posts and all persons depicted in such posts have given permission for entrant to submit such posts and grant the rights and releases granted by entrant herein. Entrant hereby grants to Sponsor a non-exclusive, royalty-free, perpetual, non-revocable license and right to reproduce, use and/or edit all posts submitted (or portions thereof, including any writings, photographs or drawings) in any manner, including posting or reposting on http://www.skechers.com/ and https://www.facebook.com/SKECHERS?ref=hl or via Twitter or Instagram, and no such posting or other use shall entitle the entrant submitting such post (including any photo) to any compensation of any kind whatsoever. The winner shall bear all risk of loss or damage to his or her prize after it has been delivered. Except to the extent otherwise required by law, Sponsor makes no representations or warranties of any kind whatsoever concerning any prize. Sponsor shall have the right to print, publish, broadcast and use worldwide in any media now known or hereinafter developed (including without limitation online at www.skechers.com and www.facebook.com/skechers or via Twitter or Instagram) the name, address, entry, voice, statement, picture or other likeness of the winner, without any additional compensation, for public relations, advertising and promotional purposes, as may be determined by Sponsor. 11) WINNERS LIST: To request the names of the winners, available after the announcement of the winners, send an e-mail with subject line: “Skechers 100,000 Instagram Followers Sweepstakes Winners List” to SocialMedia@Skechers.com. Requests received more than six (6) months after the announcement of the winners will not be honored.